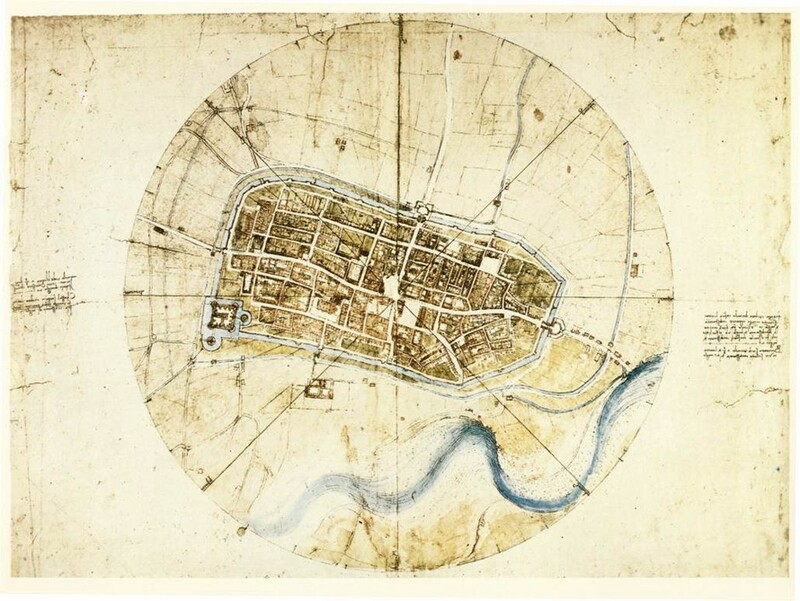 “To make this map of Imola, he may have used the special hodometer and magnetic compass he’d already invented. With careful measurements in hand, he drew every street, plot of land, church, colonnade, gate and square, the whole encompassed by the moat. Da Vinci centered the plan in a circle with four crossing lines, representing the points on a compass. And he showed the city ichnographically, “as if viewed from an infinite number of viewpoints,” perhaps inspired by his study of avian flight,” according to City Lab.